In a small city like San Francisco — where cyclists rule the streets and mobile car service apps have replaced your typical urban gesture of hailing a cab — there are several pockets of venues dedicated to the presentation of art. 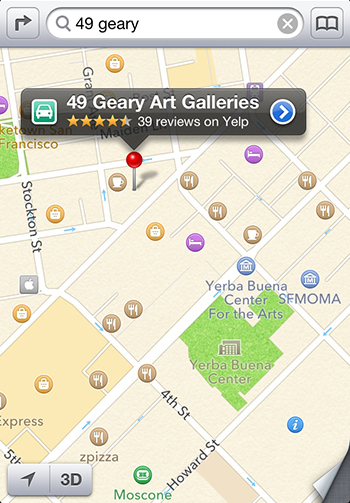 Blending in with its surrounding buildings like luxury good shops Mont Blanc and Juicy Couture, 49 Geary Street is a highly saturated and popular destination for SF art seeing with over a dozen galleries spanning four floors. 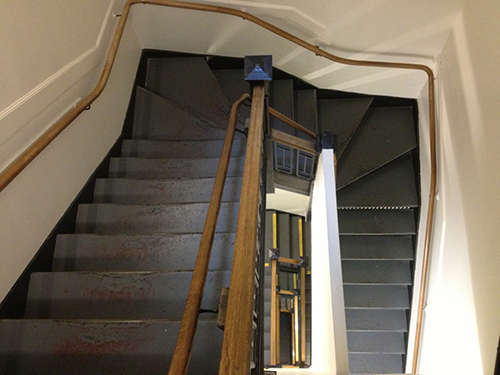 With my roots based in New Jersey and frequenting the Whitney Museum of Art in NYC, it seemed only normal for me to start on the top floor of 49 Geary and make my way down through all the galleries. On every first Thursday of the month, the San Francisco Art Dealers Association organizes an evening of receptions throughout the city for any members that choose to participate. Because of the holiday last Thursday, this month’s event has been rescheduled for tomorrow night — so if you haven’t checked it out, now’s the time! The building’s architecture is as simple and repetitive as one might guess from an art venue located in a neighborhood known for designer clothes and radiant gems. 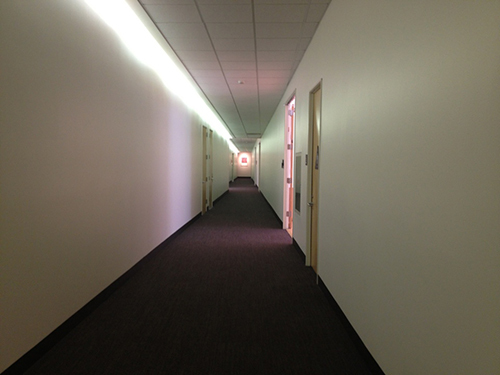 The long white and grey hallways and steep spiraling staircases between floors do little to inspire the mind, but probably offer a great calmness before activating the senses as you walk into a gallery (kind of like smelling coffee beans to clear the nose while testing out different fragrances). This month, as always, the galleries are packed with painting and photography. Most of the art, if not all, can easily fit into the elevators for a quick transport and install onto the wall above your fireplace mantel. The artwork may stay confined in a more traditional structure perfect for moving the product like the garments in fashion houses down the block, but that shouldn’t scare you away from checking out the conceptual frameworks for a few more moments. Here are a few highlights from my recent visit. Left: work by Roger Ballen. 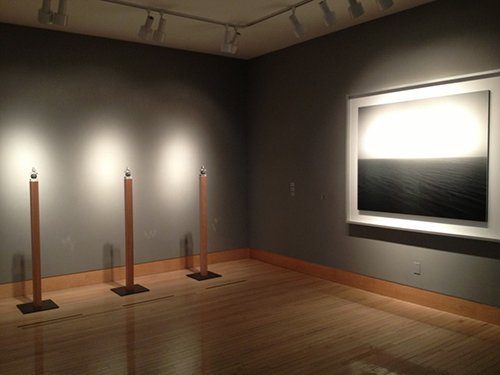 Right: works by Delaney Allen. 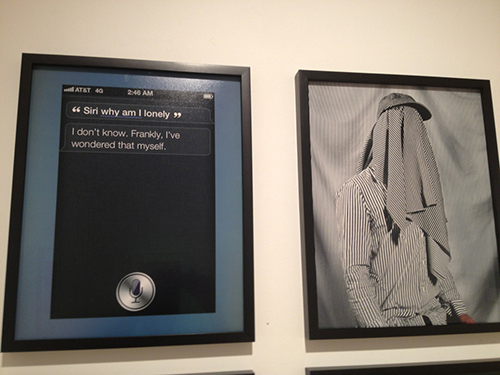 Left: Delaney Allen, Siri, why am I lonely?, From the series “Painting a Portrait”, 2012. Chromira archival print. 20? x 16? image & mount. Edition of 5, plus 2 APs. Right: Delaney Allen, Self Portrait No. 9, From the series “Painting a Portrait”, 2012. Chromira archival print. 20? x 16? image & mount. Edition of 5, plus 2 APs. 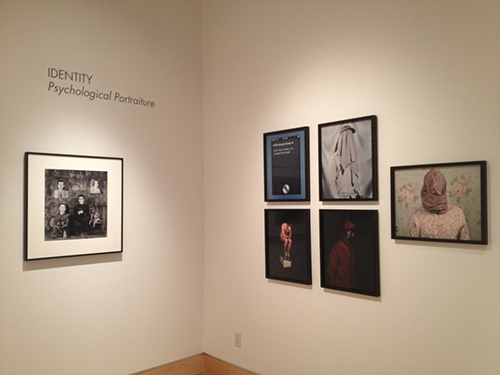 Robert Koch Gallery presents IDENTITY: Psychological Portraiture until August 24. Delaney Allen’s series of chromira archival prints are weird and playful, especially the text-based iPhone screenshot titled Siri, why am I lonely? (2012). Hiroshi Sugimoto, Five Elements: Baltic Sea, Rugen, 2011. Optical quality glass, black & white film. New Work by Nicholas Nixon is on view at the always presentation-perfect Fraenkel Gallery, but it’s the work by Hiroshi Sugimoto in one of the back rooms that proves to be the most satisfying. 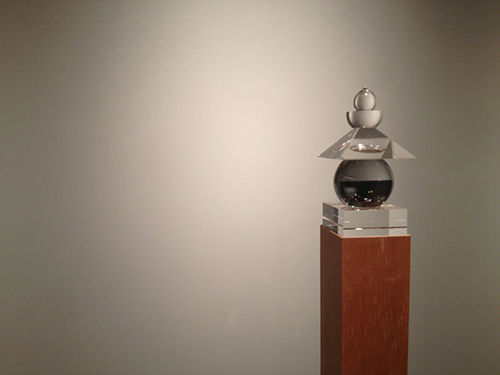 Five Elements: Baltic Sea, Rugen (2011) is a space-commanding sculpture — albeit no bigger than my iPhone and resting on a skinny wooden post — that is remarkable for its crystal ball quality (will I ever find love?). 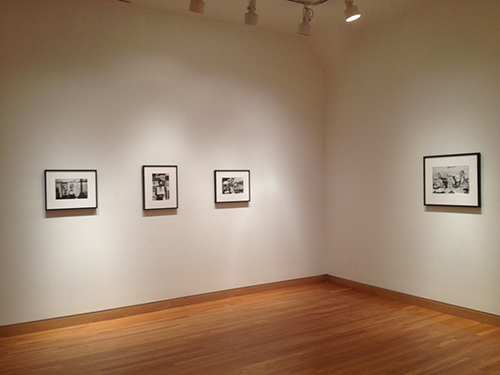 Hanging: works by Seiko Tachibana. On Floor: works by Jamie Baldridge. 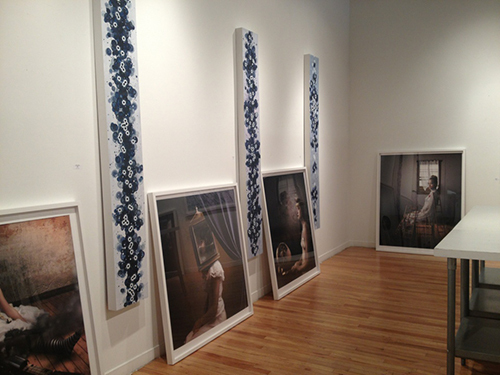 During my visit, Modernbook Gallery was in the process of hanging their next show Almost Fiction by Jamie Baldridge. His large scale photographs are wondrous portraits perfect for any daydreamer. The show will be up and ready to go for tomorrow night’s reception, as well as his artist talk this Saturday from 2 to 4 PM. 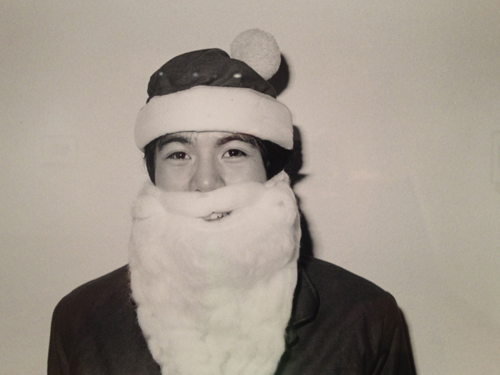 On that same day, Stephen Wirtz Gallery will have its final day presenting Michael Jang’s The Jangs. The quirky photo series depicts Americana at its finest, most intimate, and most performed. On a typical First Thursday evening, the halls of 49 Geary are packed with art fans and lovers holding plastic cups of white and red wine. Dealers are welcoming and curious and delighted to share stories. Familiar faces are everywhere, as SF’s art scene is such a tight knit community. Strike up conversation with others and see where it leads you — plus, you might need a hand to hold on to while walking down the stairs!